If you have a need for speed this board is the best choice for you. 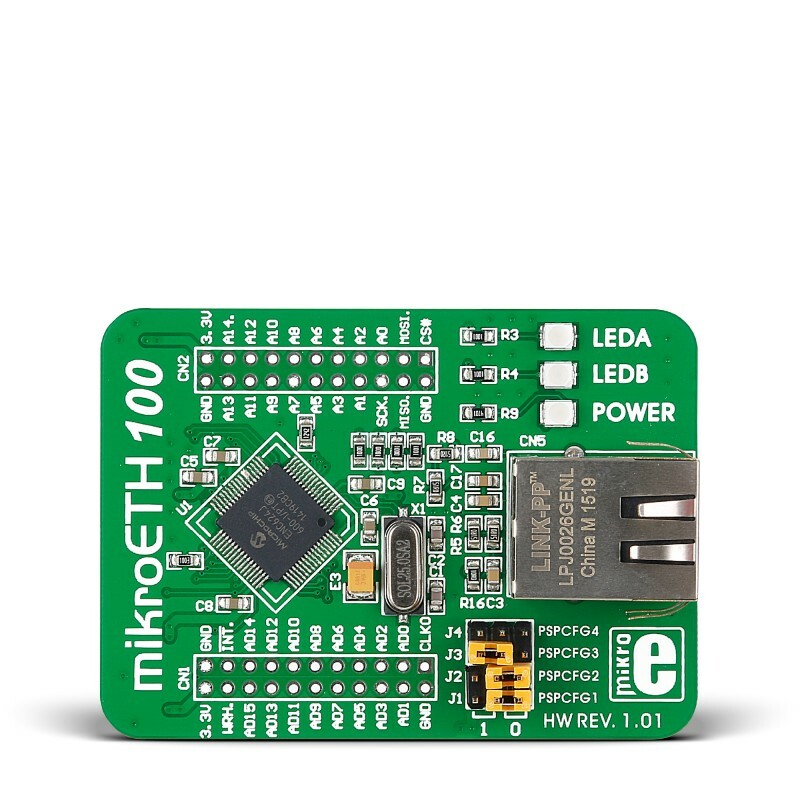 mikroETH 100 board pushes the boundaries of speed and flexibility in Ethernet applications. Driving new fast 100Mbit ethernet controller using parallel communication you can really feel the difference. 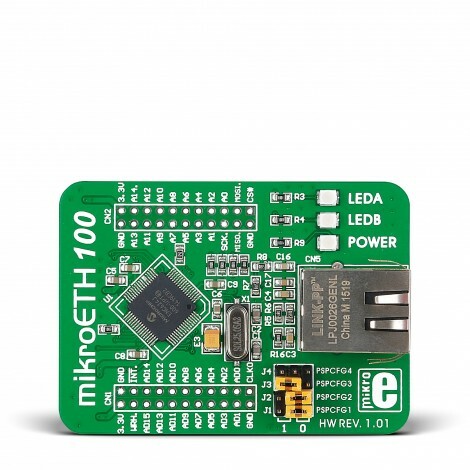 It has Microchip's latest ENC624J600 10/100 Base-T Ethernet controller with integrated MAC & PHY, hardware cryptographic security engines and factory preprogrammed unique MAC address. Communication is done using fast 8-bit or 16-bit multiplexed or demultiplexed parallel interface.